On 16th October, 2015 the Supreme Court of India passed a verdict with regard to equal rights for daughter in relation to partition of ancestral properties in Hindu’s. The second part of the judgement however concentrated on the gender discrimination faced by Muslim women due to the “arbitrary divorce system and second marriage of their husbands during the prevalence of their first marriage”. 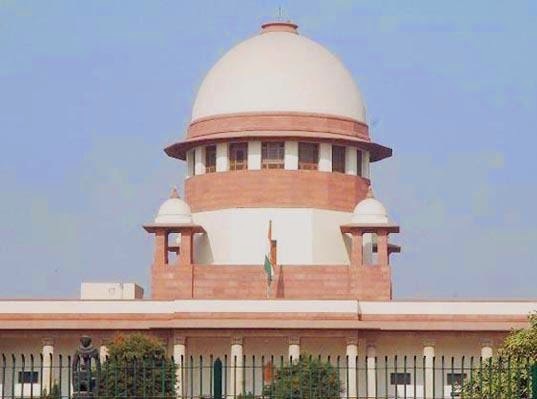 The Supreme Court has directed the registration of a Public Interest Litigation as well as asked Chief Justice H. L. Dattu to put in place a special bench to contemplate gender discrimination which Muslim women are subjected to. The debate between the religions and the states in India hasn't recently developed; instead it gained popularity soon after the Independence. The Constitution framers tried to bring about parity between the conflicting demands of different groups of the society by acknowledging the rights of the minority groups and enabling them to practice their beliefs but stressed on the supremacy of the state by making it clear that such rights are subject to certain reasonable restrictions which the state can impose in the interest of public order, morality and decency. A two judge bench of justices A R Dave and A K Goel recently raised the question “whether gender discrimination suffered by Muslim women should not be considered a violation of the fundamental rights under Article 14, 15 and 21 of the Constitution”. According to Article 14 everyone is entitled to equality before the law and equal protection of law in India. The fundamental right to equality also states that the State will not discriminate against any citizen on grounds of religion, race, caste, gender or place of birth. Article 21 is the fundamental right of life and liberty. Any personal law or act which is discriminating against women on the basis of their gender is in its very existence violating Article 14 and Article 15. The Supreme Court in the Ahmadabad Women’s Action Group had ruled that the triple talaaq was illegal and only full divorce proceedings are considered to be valid. The main contention in this case was that polygamy and triple talaaq permitted by the Muslim personal law violated the fundamental right to gender equality guaranteed by the constitution. However, the court had refused to comment on the violation of the fundamental rights explicitly as they argued that personal laws were beyond the reach of the fundamental rights. Recently personal laws have been subject to constitutional scrutiny, in such that if a law violates the equality Article (Article14) then the law is struck down as ultra vires the Constitution. In the Latifi case, the constitutional validity of the Muslim Women Protection of Rights on Divorce Act, 1986 was strived to be protected by the court as the right to claim maintenance for a Muslim woman was extended from Iddat period (according to Shah Bano case) until she re-marries. The question arises is why should India be still following the seventh century law which violates the rights of Muslim women. One of the reasons for this is that India does not have a uniform civil code applicable to all Indians instead there is various personal laws governing marriage and divorce. If Muslim women are being subjected to oral triple talaaq then the same should be applicable to Muslim men as well. Muslim women under Article 21 have the right to live with dignity and hence the concept of oral triple talaaq is demeaning to them. It is high time that Muslim evolves their personal laws to avoid any sort of discrimination. From the above it can be seen that to bring about any change in the condition of Muslim women, the enactment of a uniform civil code is a must. At this juncture there are numerous provisions of various personal laws which are discriminatory towards women. None of these provisions are protected by Article 25 which guarantees freedom to religion. Rather these provisions need to be looked from the perspective of being discriminating and hence need to be struck down as unconstitutional. "The above article was written by Abhinav Jain, a 3rd year law student of Jindal Global Law School." Your Article is Very Nice. So Much Information For Your Article. This judgement is very useful for all peoples. Your judgement is very honest & useful for all peopoles.